“Decarbonised gas will bring the same value to the energy system in the long term. At the end of the day, we’re going to need both electrons and molecules if we are to be ambitious on climate,” Terzian told EURACTIV in emailed comments. 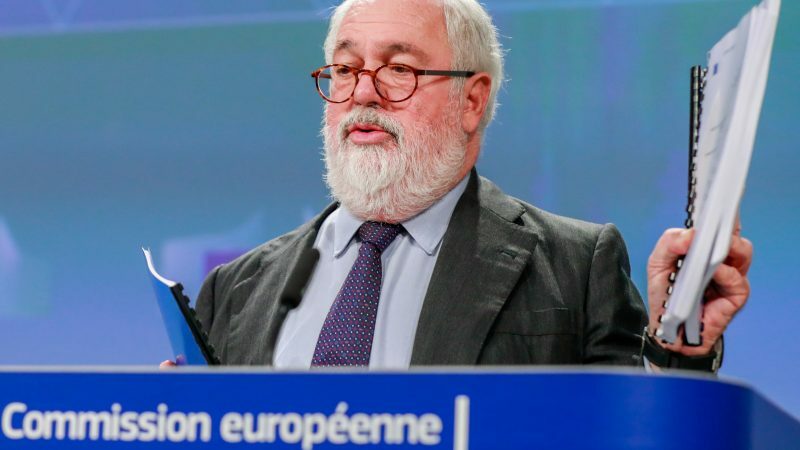 The European Commission’s views on the long-term prospects for gas in Europe became clearer in November last year, when Cañete presented a vision paper for a “climate neutral” economy by 2050. And the main game in the document was electricity, not gas. Wind and solar – combined with nuclear power – “will be the backbone” of a decarbonised energy system by mid-century, the Commission said in its 2050 strategy, dubbed “A Clean Planet for all”. By 2050, the share of electricity in final energy demand “will at least double, bringing it up to 53%,” up from under 25% currently, the EU executive stated. Amid such a context, “the role of gas will not be the same in 2050 than today,” Cañete said back then, suggesting it will play more of a supporting role to decarbonised electricity coming from renewables. This is why EU infrastructure funding is already more geared towards electricity interconnectors than gas pipelines, he explained. @MAC_europa: "the direction is very clear: electrifying the economy & renewables"
EU and member states need to go in this direction to foster the #decarbonisation of the economy. People in the electricity industry would certainly not dispute this, saying gas will become one of the “complements” to decarbonised electricity coming from wind and solar power. “In the same vein as for instance hydro, batteries and demand-side response solutions, gas plants are one of the flexibility options that can help balance production from variable renewables,” said Kristian Ruby, the secretary general of Eurelectric, the EU power sector association. So is it game over for gas? Clearly not, according to Cañete. “Natural gas will remain an important component of our energy mix at least for some decades ahead,” the Spanish EU Commissioner said at the 4th EU-Norway energy conference last Tuesday. And that is because gas will be essential – at least in the short term – to decarbonise Europe’s energy system. “Gas has a lot to offer in the transition to a low-carbon energy system,” said Kjell-Børge Freiberg, Norwegian Minister of Petroleum and Energy. First, because it offers a “fast and cost-effective” way to reduce CO2 emissions when replacing coal in power generation. And second because it provides a perfect backup for wind and solar. “As the share of intermittent renewable energy grows in Europe, the need for balancing power will become more important,” Freiberg pointed out, saying gas can handle large variations in energy supply and demand, especially during winter when heating demand reaches its peak. For all those reasons, demand for gas is expected to remain stable in Europe until 2030 at least. 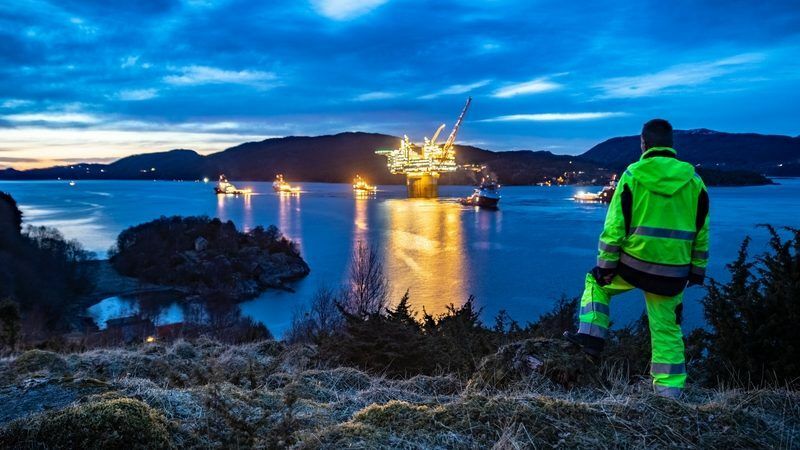 That is good news for Norway, which exported a record amount of gas to Europe last year, offsetting in part the collapse in production coming from the giant Groningen gas field in the Netherlands. But beyond 2030, supply and demand projections are much less clear. “The demand for gas in Europe is uncertain,” said Erik Wærness, chief economist at Equinor, the Norwegian state-owned energy firm. Indeed, gas will be “almost taken out of the power sector” by 2050, in a scenario consistent with the 2°C global warming target of the Paris Agreement, he told delegates at the 4th EU-Norway energy conference. And even though “Europe will still need a lot of gas” in 2050, the demand is likely to be focused on sectors other than electricity production – “in transportation, in non-energy (feedstock), and in heat,” Wærness said. The Commission’s long-term strategy identified eight possible scenarios to comply with the Paris Agreement objective of keeping global warming below 2°C. The scenarios diverge in terms of technology mix and decarbonisation pathways. 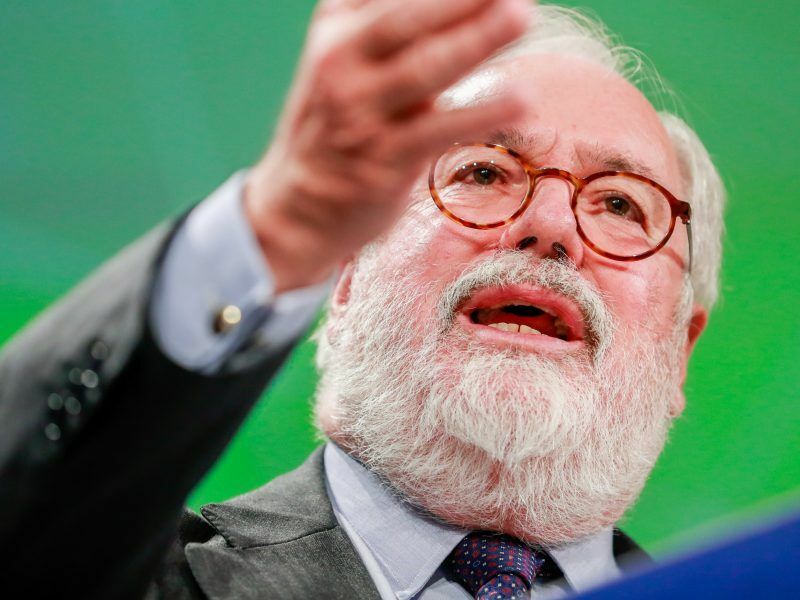 But “all converge on a central message,” Cañete told delegates at the 4th EU-Norway energy conference: as the European economy continues to grow, “energy consumption must be reduced by as much as 50%,” he stressed. That probably means much less gas than is currently being consumed in Europe. And a radical transformation in the types of gas that will still be in use in 2050. “Only e-gases, Power-to-X and hydrogen will be present there – for sure,” Cañete said back in November when asked about the future role of gas by mid-century. That leaves the gas industry with a massive challenge to decarbonise. For industry executives, it means ramping up production of decarbonised and renewable gases, which currently represents a small fraction of the gas market. “In 2050, the maximum projected availability of renewable gas is equivalent to 25% of current EU gas demand,” said Jonathan Stern, from the Oxford Institute for Energy Studies. “Maintaining current demand levels will therefore require very substantial volumes of hydrogen from reformed methane with carbon capture and storage (CCS),” Stern said in a foreword to a recent study on the role of natural gas in decarbonising European energy markets. If the gas industry wants to maintain its current production levels while decarbonising, it will therefore need “very substantial volumes of hydrogen from reformed methane with carbon capture and storage (CCS),” Stern wrote, saying this will also require adapting pipelines and LNG infrastructure to a decarbonised product. Gas industry executives are quick to point out that they are not alone in facing those daunting challenges – the electricity sector too has a mountain to climb when it comes to decarbonisation. And while competing for market share, electricity and gas executives also have an interest in collaboration. “80% of our energy today is molecules, not electrons,” reminded Erik Wærness from Equinor, saying this leaves room for decarbonised gases to play an important role in Europe’s future low-carbon energy mix. “Remember that if we are not relying on gas in the energy system, the need for massive investments in renewable electricity will be much higher,” Wærness warned, saying it will be “already enormously challenging” for wind and solar to reach 60% of all electricity production in Europe. Oh dear, where to start. Europe has two physical energy carriers: wires (electricity) and pipes (gas). The latter is capable of carrying far more energy than the former. Example: the German gas grid contains at any one point around 220TWh of nat’ gas. Germany consumes around 500TWH/year of electricity. Thus one needs to think in terms of energy vectors, specifically, an electricity vector and a gas vector – with the latter moving as soon as possible from carrying natural gas to hydrogen. Given the 3:1 difference in calorific value (nat gas vs H2) this implies a reduction in the energy carrying capacity of gas pipelines. This reduction can be mitigated by, for example, substantive actions on energy efficiency (currently noticeable by their absence – plenty of talk @ a Euro level – zero action). As for nat gas still playing a role by 2050, this does not and never will fit with the EC’s declared goal of net-zero by 2050. In fairness, even the Russians seemed to have worked that out – why else have a project for nat gas pyrolysis (ditto the USA) which produces solid carbon (easy to store) and H2. Gas could cut EU emissions, right now, but Germany does not want to switch-off its coal stations and switch on its gas stations (which would lead to a greater reduction in emissions within months than Germany achieved from 1990 to now). The same comments could be made with respect to the East Euros aka CoalRUs. “Electrolysis of renewable electricity into hydrogen offers the flexibility that can complement variable electricity generation coming from renewables” such as wind and solar power”……….Of course why would Cañete explain this to an audience that wants to stay in the gas business as long as possible. Discussions covering the convergence of gas and electricity markets – which this article obliquely covers – are for the most part facile – as the comments from Canete show. Vector convergence/sector coupling (gas and electricity) means gas moving over to hydrogen as quickly as possible which will with then mean an almost total inter-dependence between the two vectors/sectors. Thus action would lend meaning to words. The nat’ gas pyrolysis projects in the USA and Russia suggests these two countries to some extent “get it” (= no future for nat gas – future for H2) – which leaves the question – does Canate? Or were his comments in Norway more a case of he who pays the piper (International association of oil and gas producers) calls the tune? It is worth noting that Canate’s background (before his Damascene conversion to energy commissioner) is oil n gas. Leopards generally tend not to change their spots, “MAC’s” comments in the article seem to confirm this verity. & a “PS”. No the Commissions “long term strategy” did NOT identify eight possible scenarios – it constructed 5 straw men (which the text demolished) and 3 scenarios of which 2 are runners with respect to a) paris b) net-zero. OK, well if they can make that pay economically without producing any carbon dioxide whatsoever – just solid carbon which is easy enough to store admittedly – then I could be persuaded to support it but let’s be just a little cautious and suspicious. If it turns out to be a lot cheaper to produce hydrogen from natural gas by steam methane reformation (SMR) than it is by pyrolysis, then profiteers may actually produce hydrogen by SMR but their salespersons will market it as “produced from pyrolysis”. So there would have to be credible authentication and proof of the provenance of hydrogen which was marketed as “produced by pyrolysis of natural gas”. However, if there was reliable authentication, I could be persuaded to support hydrogen produced by pyrolysis of natural gas as being accepted as environmentally responsible low carbon source of fuel. So good luck with that. Certainly there is no harm in researching that method. Either you or I could do a better job of European Commissioner for Climate Action and Energy than Miguel Arias Canete. We can be sure that a number of things are going to happen between now and 2050, regarding the future of gas in Europe. First of all, there are those gas companies that already have firm plans to decarbonise; and this is mainly the Green Gas Initiative (GGI). France is also confident that its supply can be decarbonised within this timeframe, given a 30% reduction in demand, according to Didier Holleaux (twitter .com/DHolleaux/status/1093083743173120000). Other elements will be the decarbonisation of much of the UK grid via the implementation of reformers (probably ATR reformers alongside those at the existing Teeside installation). There is a 544-page document regarding the roll-out of reformed gas in the north of England [northerngasnetworks .co .uk/h21-noe/H21-NoE-26Nov18-v1.0.pdf], and this looks set to start with ‘industry hubs’ which are I think becoming the favoured initial point of application for ccs. Germany has a number of power-to-gas plants in operation and planning, and considers the development of this industry as the most practical route. There is 900MW of offshore wind which a consortium (Shell, Tennet and Siemens) wish to offer for power-to-gas between 2026-30, using a new tendering model. This is possible because the value of domestic production is worth approximately twice that of imports, within the correct legislative environment. However, beyond this; many more GW of power-to-gas are proposed by Germany (and France, others). What is also understood [via the comprehensive Frontier Economics report: ’emcel .com/en/wp-content/uploads/Frontier-et-al-FNB-study-Value-of-gas-infrastructure-English-Translation-01-02-2018-stc.pdf’] is that between 100-250GW of power-to-gas will be necessary to replace fossil gas by 2050, just for Germany. This is obviously not going to be possible to produce in Europe alone, and therefore other routes to gas have been proposed (or anticipated). A more recent report [frontier-economics .com/media/2642/frontier-int-ptx-roadmap-stc-12-10-18-final-report.pdf] again by Frontier Economics written for WEC Germany highlights the value of importing hydrogen (or ammonia etc) from those countries with favourable renewables profiles such as Australia, Chile, Morocco and Saudi Arabia. This is very likely to occur; and indeed those EU countries involved with power-to-gas can export technology and skills. Ultimately; this creates a global market for hydrogen, with a corresponding user-base; which is a very good situation to have as this provides supply security. What this also does is to generate the demand for decarbonised gas which can supplement and/or eventually replace decarbonised gas generated from fossil sources in Europe. Fossil gas suppliers such as Norway and Russia have already made clear indications that decarbonising gas (via methane reforming) is not only possible but anticipated further down the line. Gazprom consider the market to grow by 2050 as coal is phased out and new markets such as transport, shipping etc emerge [bloomberg .com/news/articles/2018-11-08/russia-looks-to-hydrogen-as-way-to-make-gas-greener-for-europe; another interview, quoting deputy chairman of Gazprom: azernews .az/region/144054.html]. This is dependent on tighter and tighter regulations coming into force, and motivation growing from MS governments. Also this is dependent on the ability of both transmission and distribution pipelines to accept hydrogen. As the Northern Gas Networks report [northerngasnetworks .co.uk/event/h21-launches-national/] explains; the cost of fitting polyethylene pipes at the transmission (high pressure) level should not be overly expensive; and some could argue indeed that this is necessary as general maintenance and to reduce methane leakage. Residential pipe networks will not have to be changed because the gas is not under high pressure. Also, as the TU Delft report by Ad van Wijk explains [d1rkab7tlqy5f1 .cloudfront.net/Websections/Energy_Initiative/Technical%20Report%20Hydrogen%20-%20the%20key%20to%20the%20energy%20transition.pdf]; the cost of upgrading an existing gas pipeline (industrial) is only 5-10% of the cost of a new pipeline. This is quite important as a far greater volume of energy can be sent via pipeline (15GW) than by HVDC (1-2GW). 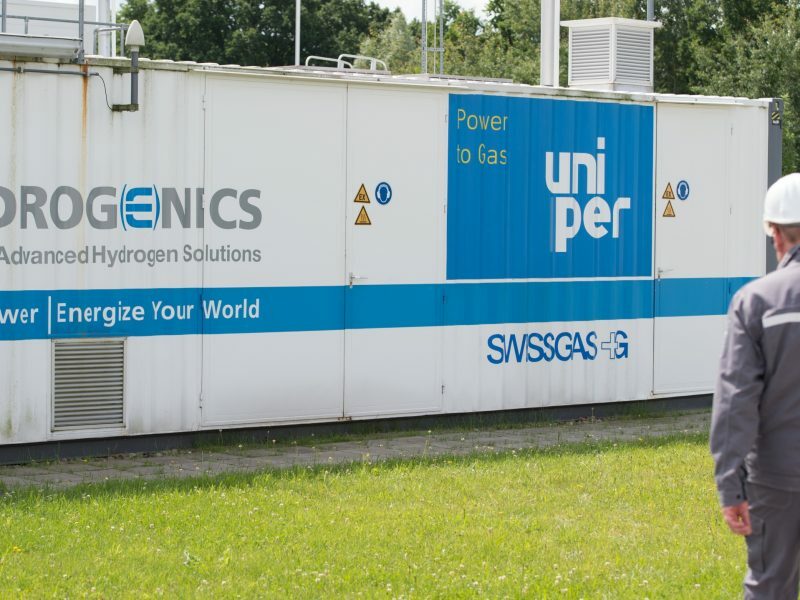 Holland is also very much involved with power-to-gas (two 100MW plants in planning), and also with a number of 400MW gas turbines undergoing conversion to hydrogen, with gas supplied via ccs. More general reports on the decarbonisation of gas include a number of perspectives with interviews by eg the boss of Uniper who explains that in order for power-to-gas to become fully competitive it needs to be exempt from many of the taxes and charges that oil and gas are already exempt from [very good overview: knect365 .com/energy/article/f6838ddc-7c67-4e52-b5b7-fdd4f8137e28/how-can-europes-gas-networks-be-decarbonised]. Other more academic papers include the OIES (Oxford) study showing precisely that there is no alternative to CCS in Europe – and he takes the approach of ‘how are the markets going to change between now and the post-2030 period’ when genuine changes will need to actually start occurring. As he and others highlight; because the lead times for any major works are quite long decisions need to be made very soon. The ZEP (Zero Emissions Platform) report shows how industry is likely to be the frontrunner in the implementation of CCS, via industry hubs. This is quite a practical report, and shows what needs to occur to start the ball rolling with CCS. The Poyry, Ecofys and other reports essentially reiterate what the others are saying; there is no way we can abandon the gas grid because the gas infrastructure meets large peaks that electricity grid does not and we have no real way to convert either industry or heating to electricity. So really what is likely to occur is a combination of power-to-gas from both domestic suppliers such as low cost solar in the south of Europe (where electricity prices will be moving inexorably to 1c/kWh; or below half the cost of EU gas imports), and international suppliers who will see a large market for hydrogen in Europe and a value in converting very low cost renewables. Already for example, the cost of electrolysed hydrogen in South Australia is below the cost of natural gas, and they are converting a gas turbine to use hydrogen [climatecontrolnews .com .au/news/latest/gas-turbines-configured-to-power-green-hydrogen-plant]. So what needs to occur, and as James Watson points out, either binding targets for renewable gas need to be applied, or a concerted program to enable gas grids to accept decarbonised gas needs to occur soon in order that reformers can be installed and gas can be decarbonised when various supply chains (for the transport of waste carbon) are in place. Readying gas grids should occur regardless of whether gas pyrolysis (the splitting of gas into hydrogen and carbon black as outlined by Gazprom [references in the OIES report – oxfordenergy .org/wpcms/wp-content/uploads/2019/02/Narratives-for-Natural-Gas-in-a-Decarbonisinf-European-Energy-Market-NG141.pdf) or conventional methane reforming is available. Well that made me sit up and dig a little deeper. What your source actually says is. “is now comparable with” does not mean the same as “is below the cost of”. Nevertheless, this is very encouraging and hopeful news indeed. My congratulations and best wishes for future developments to the “hydrogen from electrolysis” business in South Australia! The CCS-LEAK scam of the fossil fuel fraudsters should fool no-one. Massive leaks of valuable oil and gas are routine and shrugged off by the fossil fuel producers as a environmental price “worth paying”. Imagine how much more indifferent the CCS-LEAK scammers will be when it is worthless carbon dioxide which they are surreptitiously leaking into the oceans and atmosphere. So I disagree with Jonathan Stern’s advice to natural gas producers. Natural gas can never become a “decarbonised product” via the smoke and mirrors of CCS-LEAK scams. So the last thing we need is “very substantial volumes of hydrogen from reformed methane with carbon capture and storage (CCS). On the contrary, such fossil fuel-derived hydrogen is not clean, not renewable energy but must be assumed to be a source of carbon dioxide pollution and as such ought to be denied any government subsidy or incentives and be liable to the equivalent carbon taxes as its natural gas source. The only kind of hydrogen which is truly renewable energy is that produced by electrolysis of water using surplus power from wind and solar farms. That’s the only kind of hydrogen fuel gas which I will enthusiastically argue for. We’ve had this argument before and literally, there is a very strong necessity to achieve a complete consensus regarding this, with no doubts. Its either keel over now and thats the end or we get on with the process of installing ATR/SMR reformers and piping the resultant CO2 offshore.